The existence of the Kamargo 294 F1 with Rounded bottom (generally described as half-moon shaped in older references) as the true FF is in question; I understand the image on OAimages is from one of the First Flaps in Color authors. I have a B&W copy of one with a thread break (it's missing the arrowhead) originally from Don Vanderbilt's collection. Don't know where that one wound up. One appears on Rob Kutz's NY OA Prices Realized 2/92 - 3/93 which is listed as missing the arrowhead and sold for $500. Rob did several auctions of NY OA Collections from that time frame at least one was for Joe Mirenda's estate (his GNYC 5 Lodges issues), don't remember the source of the other, it may have been Don Vanderbilt's. The F1 is also listed (F1 "half moon shape") in Al Rosenberger's "The Order of the Arrow in New York State" published around 1984-1985 and in the Original Arapaho 2. Does anyone else know of the location of one or more of these round bottom (half moon) 294F1's? Please let me know of any additions, subtractions, or corrections. I'm still looking for the 28 Delegate sets to complete my 2002 NYS NOAC set. I'm looking for the 165 GMY border 2-piece set to complete my 2000 NYS NOAC issues. That list can be found at If anyone has updates or correction for the Blue Book for NY Lodges, please let me know. Looking for new OA issues from all NYS Lodges. Will trade my #4S27 2002 NOAC flap 1:1 for any other NY OA NOAC, Anniversary, Section Conclave Host, etc. Flap/ Will trade 4:4 for any NYS OA Jacket Patch. These issues came out last summer, but I was just able to pick up the set at the Lodge #2 TOR this weekend. The S22 Blue Border was an earned award for 8 hours service to the camp. The S23 Blk border was a fundraiser for Camp improvement projects. Aquehongian Lodge has just issued its 2004 NOAC fund raising set. I have one set available for trade for other NY 2004 NOAC items, please email me with any trade offers. It is my understanding that there will likely be a 2-piece restricted delegate set with a different border color as well. Mike hulsizer created an excellent website containing information on all of the memorabilia from the current Lodge 159 and its predecessors. Contains information on Flaps, Odd Shapes and Neckerchiefs, Chapter Patches and Neckerchiefs, Lodge Event Patches and Fakes. As well as WNY Chief and Advisor History, WNY Summer Scout Camp Memorabilia, OA Section Conclave History and Memorabilia. A great resource for identifying the differences in those a,b,c varieties. Very comprehensive. Every Lodge should have such a dedicated historian (whether official or not). Check it out! Unfortunately I need to post another fake issue, I don't have a scan of this one. Also originally found on eBay, although not from either of the sellers listed. 402	Onteroraus ZS1 ORG C M/C BRN RED	FDL This is apparently fake of S18 Elangomat Flap with the yellow border. It follows the bidmystamp and now xflip97esales issues in that it has a cut edge, but is not (at least this time around) from either of those sellers. Not a good direction for the hobby. There are about 25 other non-NYS OA issues as well. By clicking on the links, you can see the images probably for the next 60 days or so. They appear to be in the bidmystamp format rather than Changs. The seller ID is xflip97esales. At least they are listed as reproductions, and it was reported on Patch-L that the seller was going to stamp each patch as a replica. Lodge 159 has just issued a new flap. A fundraiser for the 2005 Jambo. Talk about an early start, many lodges do not even have their 2004 NOAC issues yet. While in an ideal world, there would be no fakes or reproductions, that is not the case in the collecting world. 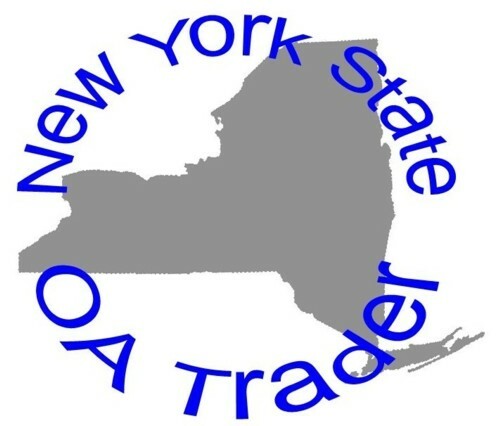 When new reproductions are uncovered for NY OA Lodges, I will report them here. I typically will not report spoofs, unless they may be mistaken for lodge issues. For those on Patch-L, there have been reports of a eBay seller "bidmystamp" who is apparently selling reproductions. The easiset way to distinguish them is they are modern looking with a cut edge as compared to a rolled edge on the origianl issues. I've now added a new comments host and we will see how it works out. I'd like this to be interactive so information can be shared. I'd be interested in trading my #24 Shu Shu Gah Lodge 2004 NOAC 2-piece set for other 2004 NOAC issues from New York State. One set for 2 flaps or two piece set for two piece set. Who is issuing the most patches for NOAC (or in 2004)? I recently heard from a Lodge #19 Haudenosaunee member about the lodges tentative plans for new patches in 2004 "Lodge 19 is considering as many as 13 new patches, many of which will be for the NOAC 2004: 1. A one-piece NOAC flap matching the NE3B set. 2,3 - A 2-piece flap set for NOAC. 4 - A shoulder patch for NOAC. 5,6,7,8,9,10 - A 6-piece set shaped like oversized CSPs, to form one outer circle (one to represent each chapter. 11 - A hexagon piece for the center of the circle, NOAC theme. 12 - A hexagon piece for the center of the circle, non-NOAC "regular" theme. 13 - Regular-issue flap with a sunrise/sunset sky (as opposed to day or night). Almost makes me want to quit. Almost." A lot of new issues, but I still have the bug too, so I'll be looking for all of these myself. Once again, I have begun a list of 2004 NOAC issues from New York State OA Lodges. The numbering is tentative Blue Book V listings. If you know of issues that are not on my list, please let me know via the Email me! link The list can found here. Shu Shu Gah Lodge has just isued its latest event patch for its Winter Banquet which was held this past Saturday evening. "Patch-L is an internet LIST aimed at furthering the principles of the Scout Oath and Law in the hobby of collecting Scouting's patches, badges and memorabilia. Subscriptions are free and open to members of Scouting programs associated with the World Organization of Scouting movements. Membership is not automatic, however, and potential subscribers must provide background information that will be reviewed by the list owners who will ultimately determine whether an applicant can join Patch-L."
More information is available from the link here.